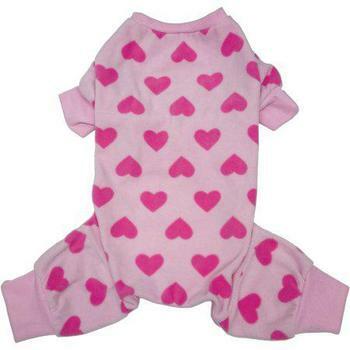 Show your pet you love 'em with these soft, cozy fleece pj's that feature a four-legged design. Traps warmth and keeps dogs nice and comfortable during the cold autumn and winter months. Sizing: Measure dog from the base of the neck to the top of the tail to find the best size.